Casa de Plegado, the AIA Home of the Year winner, a brand new modern home designed by Rob Paulus Architects. The unique 3.4 acre lot within the gated community of Cobblestone has amazing views, both city and mountain, and privacy, backing to the Coronado National Forest. This single level home has no steps and features a split bedroom plan with ample separate entry guest quarters, and all bedrooms are en suite. Thoughtful design features framed view windows in every room, even the hallways. Green design features include passive solar orientation, 12-inch steel framed walls with high R-value insulation, and low maintenance native landscaping. 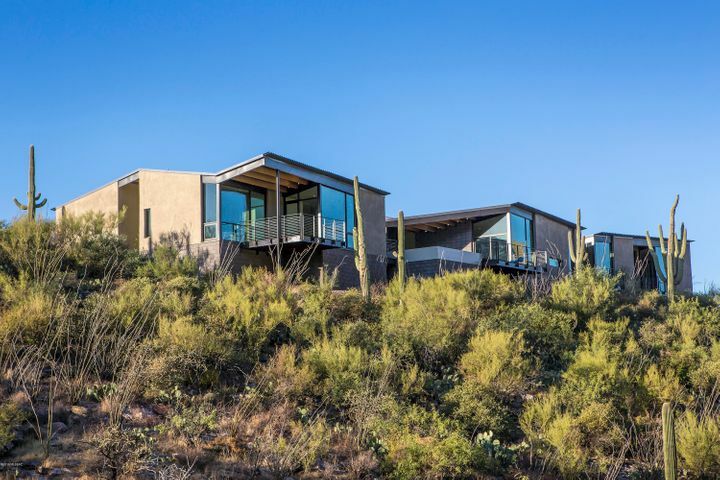 A rare opportunity to own a true contemporary at the top of this Catalina Foothills gated community.